If you’re serious about taking your airline ecommerce to the next level, then you need to master conversion optimization. Increasing conversion rate is something we all want to do, right? Here at Diggintravel, we really want to help you with that! One year ago we conducted our first-ever airline CRO research, where we surveyed 28 airlines. This year we wanted to make it even better! 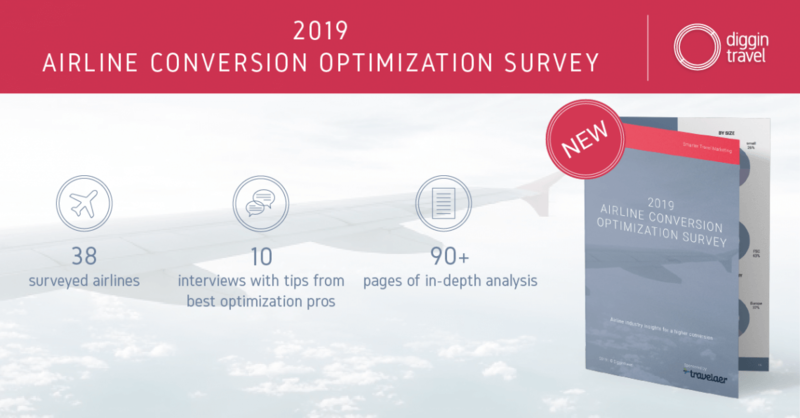 The Diggintravel 2019 Airline Conversion Optimization Survey is the second survey and benchmark of CRO in the airline industry. It’s bigger, better, with great insights from airline ecommerce professionals and the world’s best optimization experts! The survey will provide you with an overview of the evolution of this exciting airline ecommerce discipline. Our survey investigates the maturity of airline ecommerce processes and key challenges professionals face in their conversion optimization efforts. In the autumn of 2018, we sent our survey questionnaires to more than 110 senior airline ecommerce, optimization and digital marketing airline executives. The survey represents the views and insights of 38 carriers (a 35% increase from last year’s turnout). It will provide you with intriguing insights into the state and development of CRO for the airline industry. What Did We Ask Airline Ecommerce Pros? The goal of the survey was to evaluate CRO maturity within airline organizations. We evaluated airlines in 8 different CRO areas. Each area was ranked from Level 1 (basic) to Level 5 (most advanced). As a result, the Airline Conversion Optimization Maturity Model was created. You can find more info about the eight evaluated areas and the full 2019 Airline CRO Maturity Model model here. You can see the exact survey questions and detailed results with charts for each area in the whitepaper. We scored the airlines’ CRO maturity in each of the eight main areas of the aforementioned Diggintravel Conversion Optimization Maturity Model. The sole purpose of ranking the survey results was to see if we could group airlines into different categories based on their CRO maturity and to provide you with practical guidelines on how to advance. 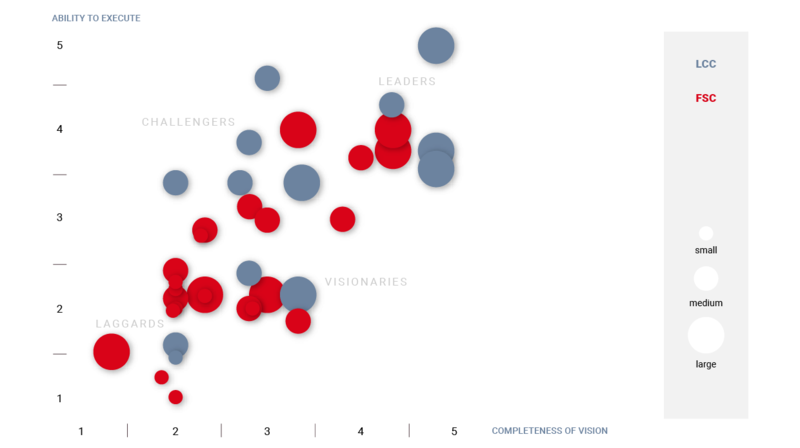 Based on the results, we classified each participating airline into one of the following four categories: Laggards, Challengers, Visionaries, and Leaders. Want to learn what Leaders do to jump ahead in the airline ecommerce game? Get Your Copy of the 2019 Airline Conversion Optimization White Paper!